As the technology age has crept into every part of main-stream america, it is only reasonable that technology would find it’s way into the world of traditional weddings. 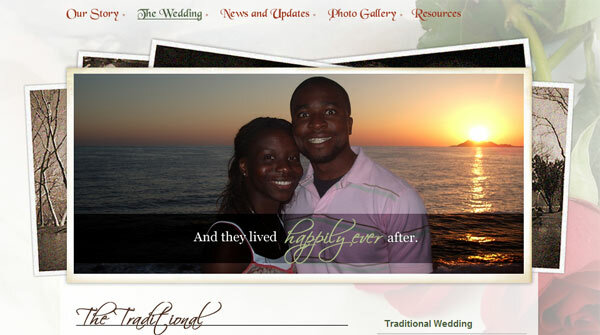 Modern couples now incorporate a new accessory to the wedding must-haves called a wedding website. On this site the new couples tend to gather romantic photos of themselves,short bio’s, their love story, registry information, and the location for the wedding events. 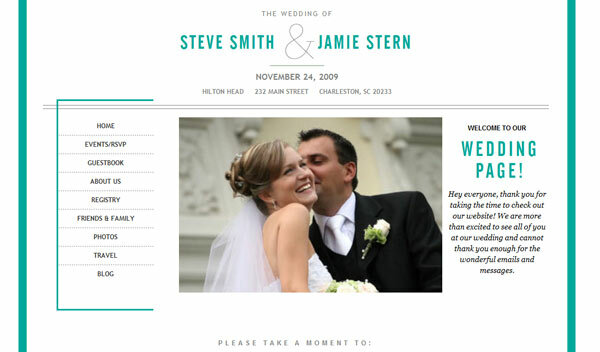 Because the wedding site is an extended accessory in their wedding most couples choose to extend their theme’s or color scheme’s onto their wedding sites. 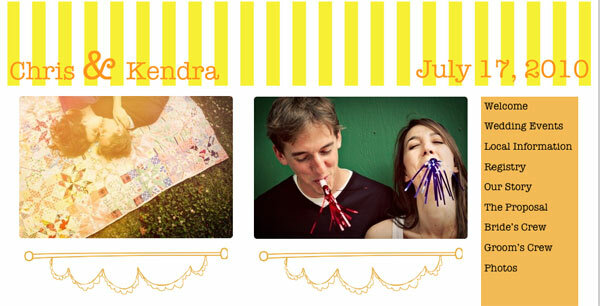 This is considered to be the best idea because it gives your guests an idea of what they can expect when the day for the wedding finally comes .However, some couples choose to design their site after themselves and their personalitiesIt also helps to cut down on the usage of paper and postal costs that are usually associated with the invitation process .If your sending your guest a simple “save the date” card with the web address on it they can RSVP in a timely manner , view where your registered, as well as find out fun facts about the couple. Though this trend seems to be catching on rather quickly some couples shy away from the idea because of concerns for privacy. though this is a valid concern, most say “relax alittle” the information that your shring on your wedding website is nothing more than you’d share on Facebook or Twitter, besides its your wedding let loose and have fun, it’ll be a great piece of history to look back on 25 years down the road. Good Luck!!! This entry was posted in Wedding Advice & Tips, Wedding Details, Wedding Planning, Wedding Style and tagged bridal, Layne Corban, Wedding Details, Wedding Invitations, Wedding Invitations & Stationary, Wedding Planning. Bookmark the permalink.